With icons like Chubby Checker and Yuri Gagarin, the Moscow that Svyatoslav Semyonovich inhabits at the onset of the Cold War brims with the flashy visual textures of capitalism. 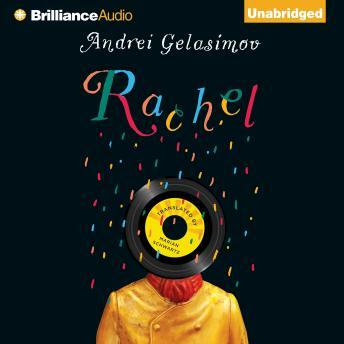 A Jewish teenager on the hunt for black-market tight pants and rock records, Svyatoslav somehow fails to develop his undying love for Lyuba into a happy ending. He finds work in a mental institution, runs off to Kiev with one of the patients, marries a few times, has a son, becomes a professor, and halfheartedly runs interference for the KGB. Always taking great pleasure in the experiences of others, including his patients and lovers, Svyatoslav flounders through his own life but never loses sight of Lyuba, his biblical Rachel, his great love. A professor and close reader of both Russian and American literature, Svyatoslav tries to interpret his eccentric life as if it were a text to be read, only to learn that life happens off the page.